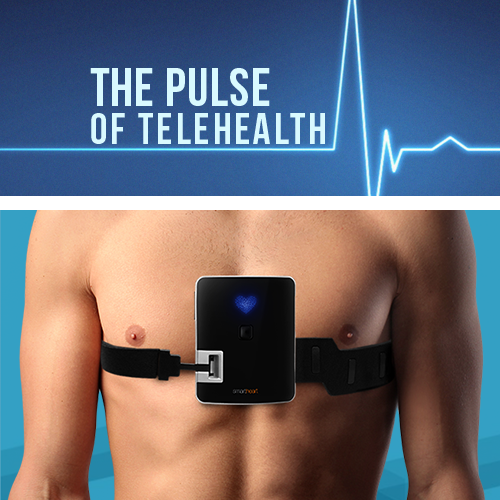 The potential of telehealth is truly limitless. In fact, a robust telehealth system provides care for astronauts on board the International Space Station who typically spend many months in outer space and for whom virtual care is the only possible healthcare solution. In the future, telehealth will enable medical providers to reach into the most remote areas of the planet, bringing breakthrough treatments to patients regardless of geography, financial means or other circumstances. Meanwhile, new tools and technologies will protect at-risk patients like never before, allowing clinicians and patients themselves to monitor health in real time and anticipate (and even prevent) major medical episodes – such as heart attacks, strokes, diabetic episodes – before they ever happen. The year ahead is promising, too, with telehealth poised to usher in medical breakthroughs that are beyond our wildest imaginings. How will 2019 shape up? 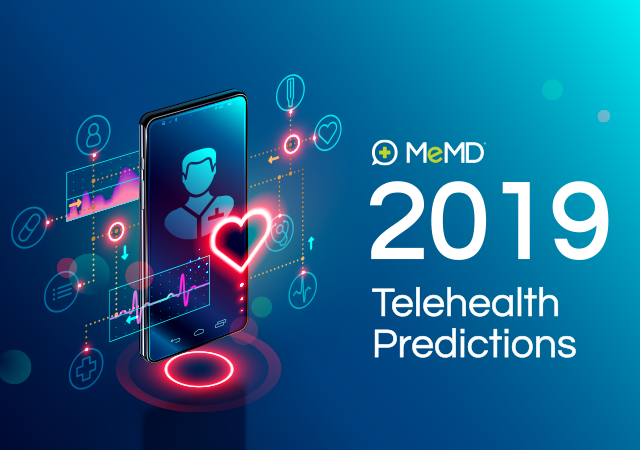 Here are MeMD’s predictions for telehealth in the year to come in the areas of medical care, technology, legislation, enrollment and marketing. Chronic Disease: The U.S. healthcare system spends $3 trillion a year. Of this amount, $7 out of $10 is spent on the diagnosis and management of chronic diseases like high blood pressure, heart disease, diabetes, obesity and stroke. Worse yet, a lot of this money is spent on hospital care following catastrophic – though preventable – health episodes like a diabetic crisis or heart failure. Technology: New technologies, combined with the power of virtual care, are on the precipice of transforming the management of chronic disease. In the past several years, health and fitness wearables have become so sophisticated that some are now offering an EKG tracker – and that’s just the beginning. This technology will soon pave the way for blood sugar monitoring for diabetics, blood pressure tracking for people at risk of heart problems, and the like. In short, giving providers the ability to monitor medically fragile patients remotely will help stop heart attacks and diabetic episodes before they even happen, keeping them out of hospitals and improving their quality of life (while drastically cutting our nation’s healthcare costs). Telehealth Integration: There’s never been a more exciting time to work in telehealth – and we’re only scratching the surface. Today, companies like TytoCare are enabling doctors to complete a comprehensive exam of the heart, lungs, ears, skin, throat and temperature – all in a virtual setting. AliveCor has created an app that allows people to take a medical-grade EKG in only 30 seconds. In the near future, every health specialty – from neurology and pain management to pulmonology and behavioral health – will offer both in-person and virtual solutions. Behavioral Health: America is in the midst of a mental health crisis. A critical shortage of providers, reimbursement challenges and the stigma of mental illness are major barriers for people who need care. One in five people struggle with a mental or emotional issue, yet few of them seek out treatment. Telebehavioral health is transforming mental healthcare as we know it. All indicators show that behavioral healthcare in a virtual setting is just as effective as in-person care, but it’s far more accessible, convenient and provides a level of anonymity not available with traditional mental health services. It will throw open the door to safe, confidential and much-needed treatment. Uniformity: Up until 2017, state laws and healthcare board regulations supplied the vast majority of telehealth governance. In the last 12 months, the federal government has increased their telehealth presence, creating national legislation that we hope will speed the growth of telehealth and enable Americans to enjoy the full benefits of virtual care. Medicare: Until recently, Medicare reimbursement for telehealth was limited to rural areas with low populations. Patients had to go to a medical office to receive telehealth care, often in the form of remote patient monitoring or consultation with a provider in another part of the country. In other words, it was far too limited to provide much value. That has all changed. Passage of new laws will loosen restriction on telehealth in the next two years. In addition, reimbursement will increase with the creation of more Medicare codes for providers and health plans, enabling seniors to connect with their doctors virtually. This will especially benefit elderly and disabled patients (and their caregivers) for whom transportation is an issue. DEA Special Registration: Since 2009, the Ryan Haight Act has prevented telehealth providers from prescribing controlled medications. The president recently signed into law the Special Registration for Telemedicine Act of 2018, which requires the Drug Enforcement Administration to provide licensing for qualified physicians and nurse practitioners to prescribe controlled substances via telehealth without an in-person exam. In the past, the government has been reluctant to loosen this law, in large part because of concern of opioid over-prescription. Why is the DEA Special Registration important? Ironically, it’s because some controlled medications are helpful in the treatment of opioid addiction. This law will enable telebehavioral health providers to aid in the treatment and control of addiction. Parity Laws: Today, 36 states and the District of Columbia have enacted parity laws that require private insurers to reimburse telemedicine services. It is likely the rest of the states will pass similar laws in the next 12-18 months. Ultimately, this means insurance companies will be required to reimburse for telehealth at the same level as in-person care. Ease: At MeMD, we know that 98 percent of people who use our service one time will come back again when they’re suffering from a mild illness or injury. 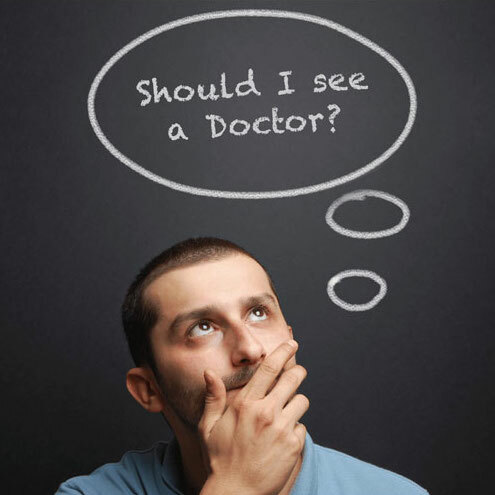 That’s because we provide a very simple, convenient and quick way to receive medical care. The model itself is convenient, yes, but we have taken it a step further with a user experience that’s intuitive and easy. Taking it yet another step further, MeMD has carved out a name for itself in building and adapting the telehealth platform to fit clients’ needs and technology systems – as opposed to providing a boxed solution – to provide the ultimate in ease and engagement opportunities. Single Sign-On: In 2019, customizing our service to integrate into employers’ existing technology will become even more important. Employers today want a single sign-on experience to make it easier for people to request a telehealth visit. This means connecting to telehealth services directly from the business’ health plan website or app and making it easy as possible for employees to access care. Integration: Speaking of integration, the year ahead promises technology solutions that will provide a bridge between telehealth solutions and legacy hospital systems. After each virtual visit, telehealth companies like MeMD share the medical record with a patient’s primary care provider to ensure continuity of care. However, telehealth platforms are built with the latest technology, and it’s often difficult to communicate efficiently with providers’ and hospital systems’ much older systems. As a result, telehealth reports often are sent in spreadsheet format, requiring a hospital employee to complete the arduous task of entering all of the data into patients’ records. Now, new software is automating the transfer of records, which will drastically improve processes and efficiency across the board. Access: One hundred percent of Americans already have access to telehealth in some shape or form. Whether this means they’re enrolled in a program through their workplace or can request virtual care as an individual, telehealth is now available throughout the nation. Does everyone know how to access telehealth services? That’s another question entirely. That said, in the next 24-36 months, every person with employer-sponsored insurance will have access to telehealth through their health plan. As a result, general awareness of the telehealth option will continue to increase. Cost-Savings: Employers and benefits managers increasingly understand the value of telehealth. They see it as a spoke on the wheel of population health management and a low-cost, high-quality option for care. As an example, telehealth is an alternative to the emergency room or urgent care clinic for many common illnesses and injuries – and it’s a whole lot less expensive. It’s also a simple and low-hassle way for people to receive the care they need. Behavioral Health: Employers also understand the value of behavioral health. Given that mental and emotional issues have a very real bottom-line impact on the workplace (depression is one of the top five medical claims), they are looking for ways to help employees take better care of their mental health. However, access to services is a major barrier. To overcome these obstacles, we predict that employers will be adding telebehavioral health to their plans in droves. 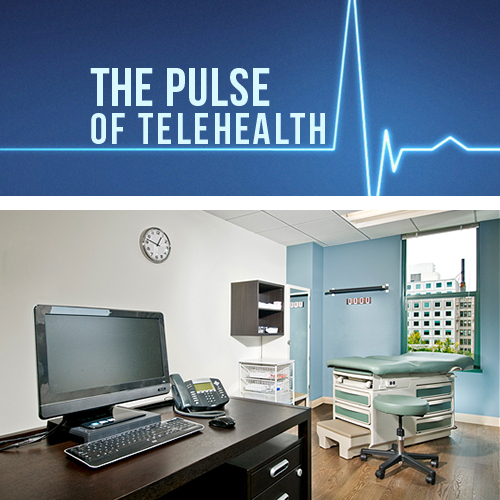 Measurement: How many employees are using telehealth? Utilization is central to the success of a telehealth program, but it’s not always a reliable measure of the success, especially for companies that do a poor job educating their employees. This is especially problematic when benefits managers are considering cutting the program because utilization is low. In the year ahead, MeMD will help clients look at telehealth through an engagement score mentality, which provides a more complete picture of the value of telehealth to an organization. This score takes utilization into account, but it incorporates a number of other variables, too. For example, how many employees have downloaded the telehealth app? How many have gone as far as to set up an account? The engagement score measures this data as well as online reviews or recommendations, actual utilization and repeat visits, dependent visits and actionable incentives, all working together to create a more accurate measure than utilization alone. Education: Using an engagement score to measure success will shine a light on the importance of educating workforces on the telehealth option. Now more than ever before, marketing will play a key role in ensuring telehealth remains top-of-mind throughout the year – and especially in key seasons (like cold and flu season).